In S.P. “Nestrėvaitis” warehouse You can always purchase properly packaged and ready to be transported fir or pinewood terrace planks. High quality terrace planks and other sawn wood products can be delivered anywhere in Lithuania. We deliver our products and unload them at the address given: in your yard, construction site, or any location which is convenient for You. In one run when can transport from 1m3 to 40 m3 dried, freshly cut or impregnated by deep vacuum wood. 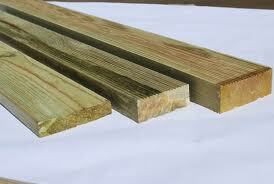 Planed and impregnated terrace planks are used for wooden terraces due to esthetic look and its practical properties. To install terrace planks it requires minimal construction and time costs. In addition, this is a great way to beautify the environment, even the surfaces or even increase the useful area near the house, creating the feeling of and outdoor room. Wood – a natural material, so wooden terrace is very pleasant to walk on, gives out a feeling of warmth, and it also can be associated with various styles and materials. It is important to properly choose the type of wood, processing, and other materials used for terrace, or else in a year or other it can start to rot, twist, losing attractive image. 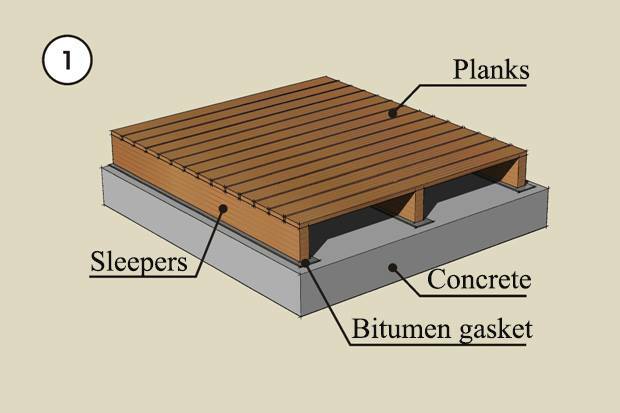 When the wooden terrace contacts with the ground and water, or if it is not protected from weather conditions, it is recommended to use industrially deep vacuum impregnated terrace planks. Pine planks are most suitable for impregnation, because of pine wood structurespecificity, it lets through impregnating material deep inside. Impregnated wood is harmless for people, animals and plants, but protected from fungal exposure, harmful insects and contact with ground. You can choose the color of impregnated terrace planks – brown or green, and in addition you can choose their surface – smooth or wavy. Terrace planks are laid leaving small gaps to prevent deformation whenthe weatheris changing. Terrace must be above the ground, that itdoes not reachthe ground, and air could circulate freely underneath it. 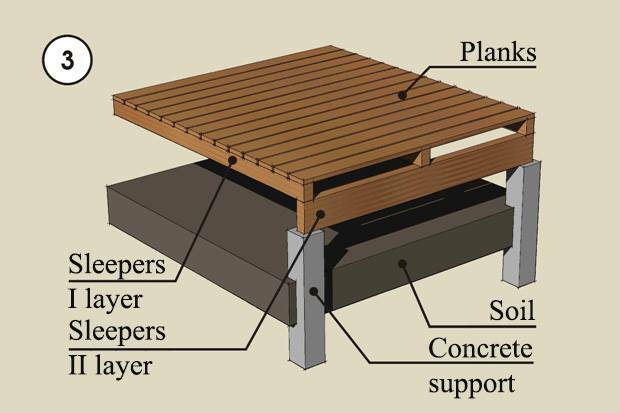 Terrace planks are mounted with two wood screws to lag. 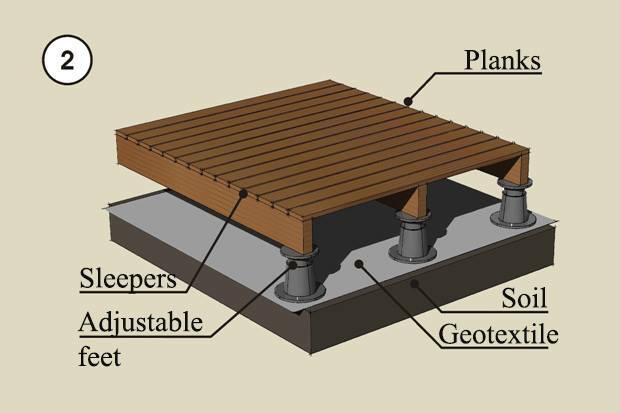 If the terrace planks are 28 mm thick, it is recommended to places lags every 60cm, if the planks are 33 mm thick, you can place lags for up to 80 cm each. Longer distance is not recommended due to the instability, swinging. Terrace planks, if they will be impregnated by deep vacuum, they have to be made from pine wood, because antiseptic gets absorbed best by it.